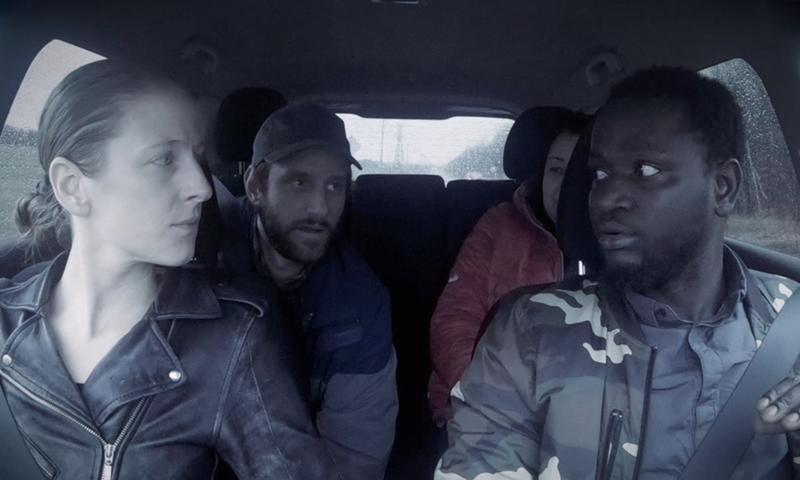 Lamine, a Senegalese student in Quebec, decides to film a carsharing ride between Rimouski and Montreal. In the course of his discussions with Rémi, a young filmmaker focusing on 'minorities' and Nataly, an Indigenous woman, Lamine grasps the link between his own daily difficulties and the question of the representation of the Other. Born in Tunisia, Marwen spent half of his life out of his country of birth. He chooses art to share his personal, collective and ancestral experiences. He considers that a single body can be submerged and exceeded by the dynamics of its relationship with the self, with others, as well as with the processes that can sometimes lead to equilibrium between ones' identities, sometimes to conflict. He is also a team coach, helping diverse organizations to establish a learning culture necessary to the creation of horizontal team structures. Recently, Marwen directed "Exils," a short recounting part of his personal life. It is a story of adaptations, hopes, disappointments, mental health, racism and addictions. It is an exploration, through the story of three characters, of the question of one's relationship with oneself and of one's relationship with others through oneself, grounded in the complex context of immigration and exile. 'Exils' was screened in schools and universities, it also toured a series of festival, including: being part of the official selection of Festival vues d'afrique 2017 in Montreal, the Journées cinématographiques de Carthage 2017 in Tunis (category Regards sur le cinéma tunisien), and the MedFilm 2017 Festival in Rome (category Nouveau cinéma tunisien).